Sometimes I think we are all too absorbed with social media, our phones and having an online presence. I blog so I kind of have to be online pretty frequently, but occasionally I find myself just needing to detox. 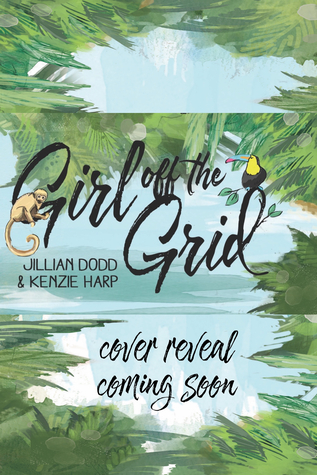 Girl Off The Grid does a really great job highlighting the need for all of us to just get outside, push our boundaries and really experience life outside the realms of technology. Camille Caldwell is a relatively famous You-Tube fashion blogger who is offered a "dream job" of contributing on an article with a very popular fashion magazine. Her assignment - travelling on an Eco-Trip to Costa Rica and writing an article on her experiences upon her return. It probably would have been helpful if Camille had done a little research on what an eco-trip is because then she would have known it entailed more third world conditions than luxury. To say Camille is out of her comfort zone is putting it mildly! Adam Lloyd, is a photographer trying to make his way in the world. Adam did not have a typical childhood and spent a lot of time traveling the world with his parents, so living off the land and roughing it is pretty standard for him. While Camille loves all things trendy, fashionable and luxury, Adam turns his nose up at consumerism in general. Camille and Adam are polar opposites and have a hard time connecting at first - well other than the initial physical attraction neither really understands. Camille can be a bit of a diva at times and Adam can be a little judgmental as well. However, when we let our guards down and take off our judgmental glasses we oftentimes find we have more in common than initially thought. This sentiment rings true with Adam and Camille and before long they realize their differences lead to a lot of ways they can work together to promote the things they both believe in such as the environment. I did enjoy this book, it had less drama and more environmental awareness than I anticipated, but it is YA, and a major force behind it's publication is for the book to be used as a tool to bring awareness to causes and concerns near and dear to the authors hearts. I definitely feel like I know way more information on Costa Rica and it's environment now than I did before I read the book. There is a lot of good info weaved into this story. I truly enjoyed the romance element of this book but for me the ending felt a little rushed and too quickly wrapped up. In conclusion, Camille and Adam's story is very sweet and endearing and if you like fun, lighthearted reads, give Girl off the Grid a try - not to mention a portion of every sale is being donated to the Sea Turtle Conservatory, and what's better than reading for a cause!